In 2011, to help our clients land a job in Australia, AMES formed an alliance with AustJOBS, an agency that focuses on matching prospective migrants with prospective employers who are interested in sponsoring international professionals and tradespeople. AMES was one of the first organisations in Australia to use AustJOBS services and use them to help our clients gain sponsorships. A valuable service provided by AustJOBS if you are registered with them is that they send you a regular Job Report with details of new job opportunities in Australia. From January 2012 we are making membership of the AustJOBS Talent Exchange available to visitors to our Migration web site on a trial basis. Through this site you can now upload your Professional Profile to the AustJOBS Talent Exchange web site, where it can be viewed by Australian businesses looking to sponsor and employ someone from overseas who has the skills they are looking for. Click on the AustJOBS logo on the right to open the AMES AustJOBS Registration page. It will open in a new tab or window. Enter your Name and Email address and click the button to create your account. You will receive an email from AustJOBS which asks you to confirm your registration by clicking a link that takes you to the AMES AustJOBS LOGIN page. After you have logged in, you will receive a second email with a set of instructions and your initial password. You need this password to login to your Professional Profile page, so that you can begin building your Curriculum Vitae/Resumé on the site, where it can be viewed by Australian employers keen to provide sponsorships. Once you have entered your Professional Profile, we will check that it is presented fully and correctly, and in a way that enhances your prospects for gaining a job in Australia. Your Professional Profile on the AMES AustJOBS Talent Exchange web site includes your educational qualifications and your employment experience, together with relevant attachments, so that you can present in full to Australian businesses your professional background and your capabilities for employment. If an Australian business is interested in discussing employment with you, they will contact AMES, so that we can facilitate their communications with you. Furthermore, if you become an AMES client, we will give you advice and assistance on how to best market yourself through the AustJOBS Talent Exchange. If you opt to receive email alerts from AustJOBS on either a daily or a weekly basis, you will start getting copies of the AustJOBS Job Report with details of new job opportunities as soon as you have uploaded your Profile. There is, of course, no guarantee that you will receive a job offer through AustJOBS, but your chances will be greatly improved, especially because AustJOBS is constantly promoting itself to the Australian employment industry to raise awareness among Australian employers of the skills, experience and qualifications of the people whose Professional Profiles are available through their web site. 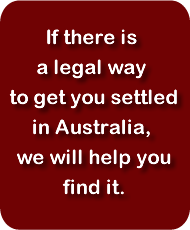 AustJOBS was established in response to a need created by Australia's new employment-focussed immigration policies and became operational in early 2011. The AustJOBS web site provides information and direction for internationally skilled people who want to work in Australia either temporarily or permanently. Click here to join the AMES AustJOBS Talent Exchange!